I'm a sucker for easy meal ideas. And, since I like to plan things out for a week at a time I wanted to find 7 of each meal type to plan so I had it all set. This is going to be the second in a series of 4 posts. 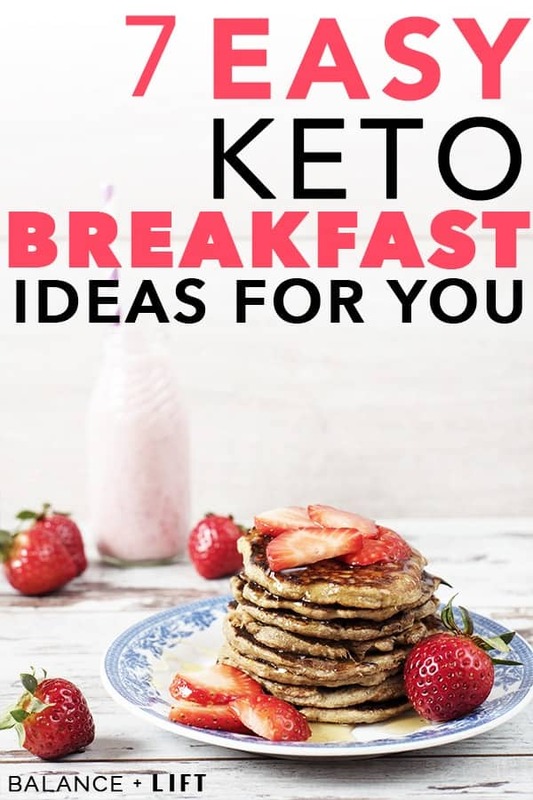 I wanted to find easy keto breakfast ideas that aren't just eggs and bacon or egg muffins. Because sometimes I just don't want eggs or anything egg related. And a lot of things I saw for breakfast ideas were egg related. I guess because eggs are easy to make people write a whole bunch of posts on egg breakfasts. But, I don't know about you, but I get tired of eggs every day. I can eat on them for a few days and then I start disliking the taste of them. Maybe it's just me though. Now, even though I just made a big stink about eggs, I wanted to say that there will be some breakfast ideas that have eggs in them. Sometimes you just can't help it and eggs are needed. But, I digress. I've tried my best to find a mix of ideas for you here. Simple, easy and delectable. All you need is Almond flour, baking powder, butter, an egg and some salt. That's really it. Oh, and a microwave and a mug to cook it in. Check out the Best Keto Snacks to Have on Hand! I love steak, egg and cheese bagels. But, we can't have regular bagels on keto. Good thing we can have keto bagels though! And, that just happens to be #7 on this list. So, fry up a little steak in the morning, fry an egg and add a little cheese for a delicious breakfast! It's fatty, has protein and will keep you full for a good while. I'm still trying to perfect keto pancakes. Even though coconut flour is really fine, I feel like it comes out very gritty. Maybe I'm not doing it right, but even having said that they're not horrible. I'm still working on my recipe so I'll keep you posted. I did find this recipe here by The Mermaid with Muscles and am curious how the cream cheese will affect the consistency. So, I'm going to give it a shot. 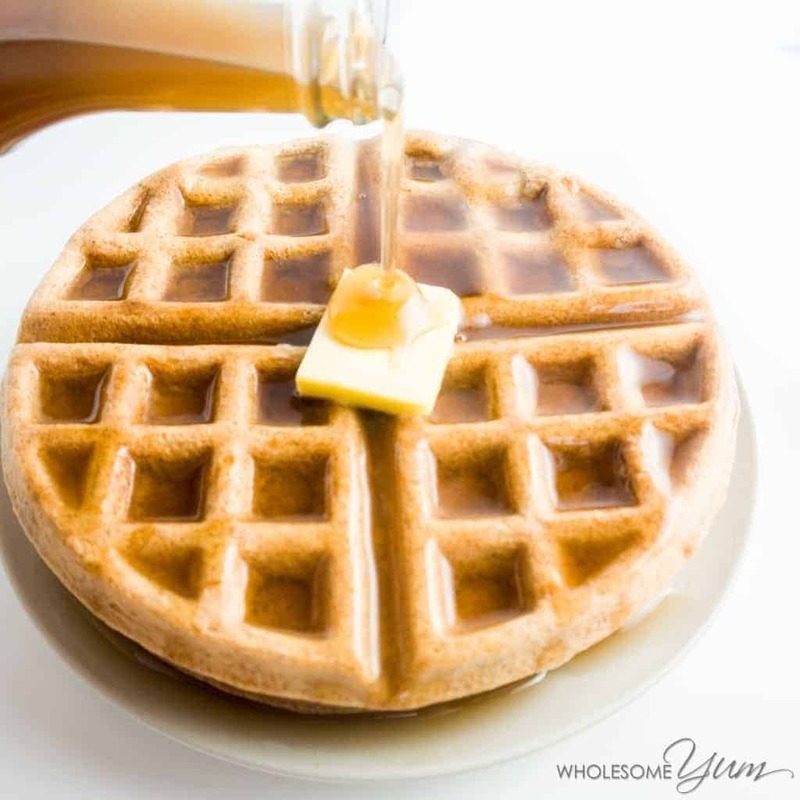 Kinda like the keto pancakes, keto waffles are a great way to get fat in for breakfast without busting your carb count for the day. I haven't made waffles myself, but mainly due to the fact that I don't have a waffle iron yet (tells husband we need to get one). I was assuming that waffle mix and pancake mix were essentially the same, but they seem to be different. Check out this recipe here by Wholesome Yum. You can either put an egg in an avocado and bake it in the oven, or you can cook some ground beef with some veggies and stuff the avocado. Either way, you can top it with some cheese and then broil it so the cheese melts. One half of an avocado stuffed with an egg or ground beef and topped with cheese is a meal that will leave you full and satisfied! You wouldn't think that just half an avocado would do that, but I'm telling you it will. Not to mention it's just delicious! Try crumbling up some of these Whisps for a some added crunch. Mmmm. Grab a muffin tin and get ready to create an amazing treat that you can't resist! If you're worried about the bacon or eggs sticking then grab some of these silicone baking cups. They're amazing and you'll never look at the paper ones the same again. Essentially, you can bake these two ways. Now, the only difference really will be how “done” the bacon gets. If you like your bacon a little more on the crispy side then do the first one. If you like your bacon a little less cooked, then go with route two. You line the muffin holes with the bacon, either crisp now for 15 minutes or just add the egg, and bake until the egg is completely cooked through. I like to add a little cheese on top and pop it back in for a few minutes to melt the cheese. You might also want to check out How to Beat the Keto Flu. This is the one food I knew I would miss when I went keto. Of course, that was before I found out that you could actually make a keto version of bagels! Talk about day made. I was in heaven. Don't forget to add some Everything Bagel Topping! It makes it so satisfying. The best part about these is that you can make a double or triple batch and FREEZE the rest! Then you just pull some out as you need or want. These are great for breakfast, but also lunch sandwiches or something like a burger too. 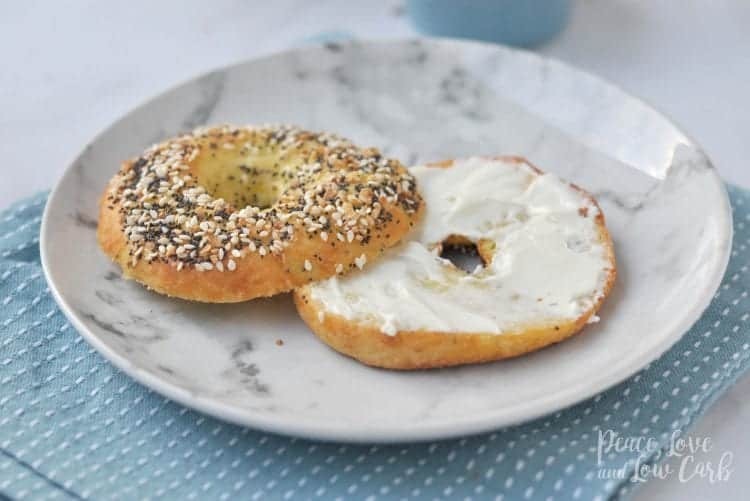 Peace, Love and Low Carbs has a great recipe for a low-carb/keto bagel right here. Be sure to check it out! 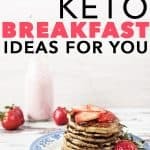 Check out the keto bagles from Great Low Carb Bread Company! Once you have some breakfast ideas it's time to start thinking about lunch and then supper too. These meals will make up your meal plan. It's important to create a meal plan so you don't end up giving in to any cravings that you might have. Cravings happen when you start a keto diet. Just accept that and plan your meals. You're preparing yourself for success and making sure that your body will get some amazing meals and nutrients too. Ever heard of Bulletproof Coffee or Fatty Coffee? These are amazing for getting your fat in each morning to start your day off on the right foot! Perfect Keto has an amazing recipe that's super delicious! Check it out here. I love adding their MCT Powder to my coffee. The oil wasn't something I ever really adjusted too. Some people tolerate the oil better, but I wasn't that lucky. Thankfully they have their MCT powder though! Previous Post: « Keto and Low-Carb: What’s the Difference?